UFC star Conor Mcgregor does a fantastic job of utilizing his Instagram account to showcase his ostentatious sense of style. 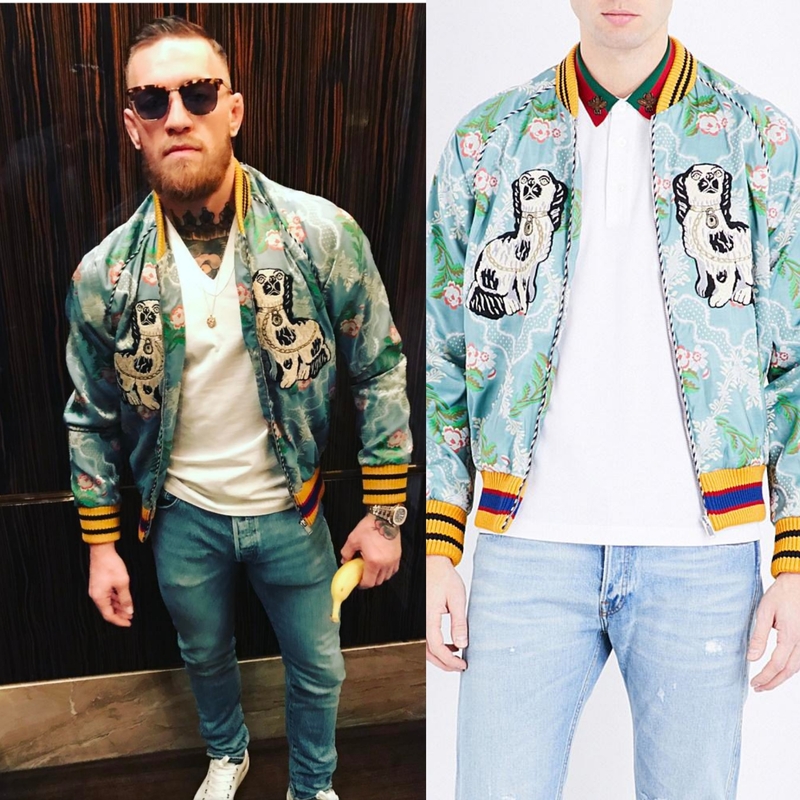 In a recent post, Conor wore a Men’s Gucci floral jacquard embroidered bomber, paired with a simple white tee, jeans, and sunglasses. 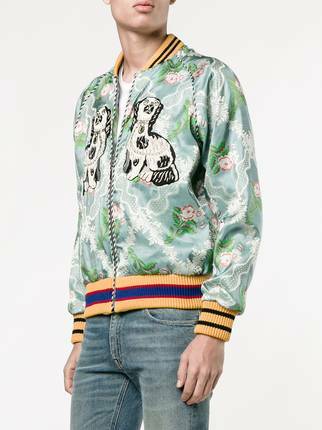 The light-blue fashion piece features a collarless neckline, long sleeves, a zip-down front and colourful striped ribbed accents.